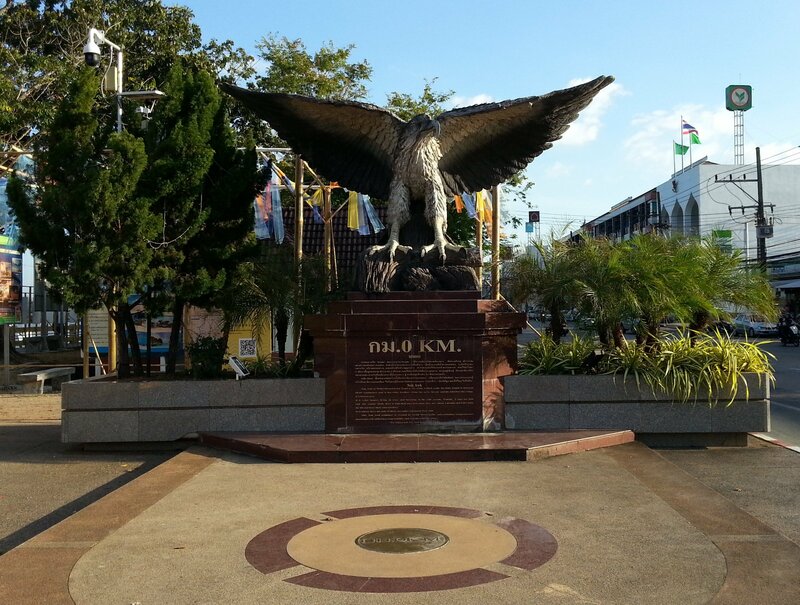 Krabi’s Eagle Sculpture is located on the riverside walk in the centre of Krabi Town near to Chao Fah Park. 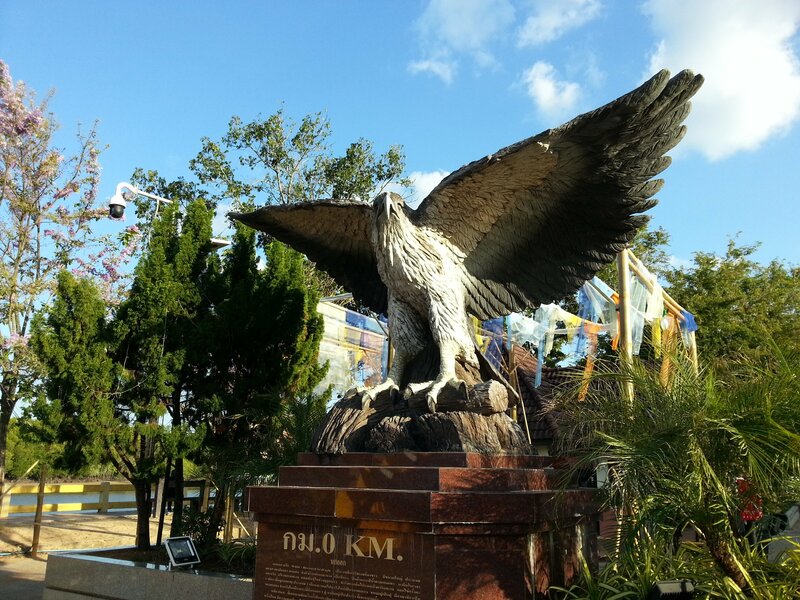 The Eagle Sculpture is one of Krabi Town’s best known landmarks set within an area of exceptional natural beauty. 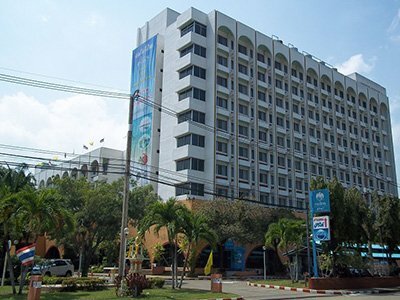 Krabi Town’s riverside area is the major in-town attraction. 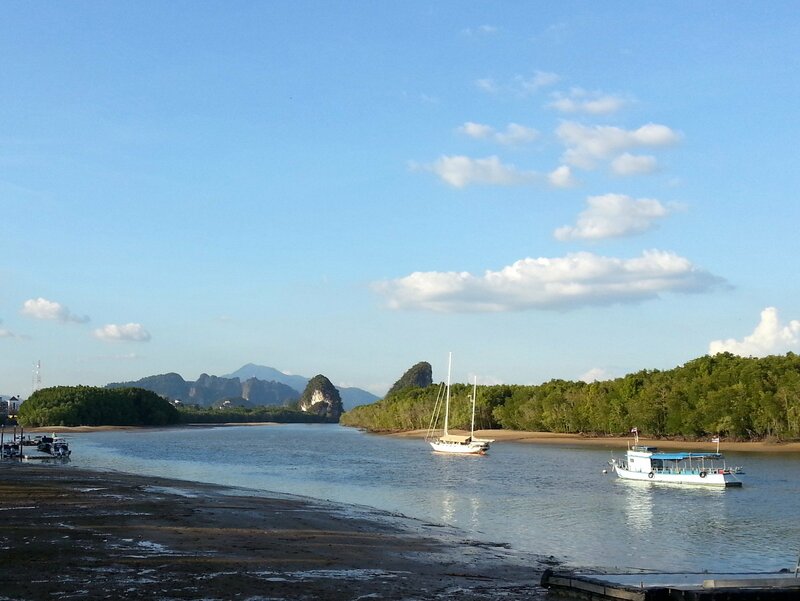 At sunset in particular the view along the river past the mangrove forests and lively longtail boat pier towards the twin peaks of Khao Kanab in the distance is very special. In the early evening the riverside is a popular destination for visitors to come primarily to gaze at this view. The Eagle Sculpture fits into the landscape perfectly. The area is home to lots of the nok awk (white bellied sea eagle) and the bird has been adopted as the symbol of the town. The plaque beneath the statue states that the bird represents “comprehensive knowledge, self-sufficiency, responsibility, and consideration to others”. All of which are, no doubt, great civic virtues. The Eagle Sculpture in Krabi bears a close similarity to the eagle sculpture in Eagle Square in Langkawi, however, Krabi’s sculpture is part of a cluster of sculptures running along the river front rather than an attempt to emulate Langkawi. The other famous sculpture on the riverfront is the mud-crab sculpture further south along the river. The mud crab is another creature which is closely associated with Krabi. 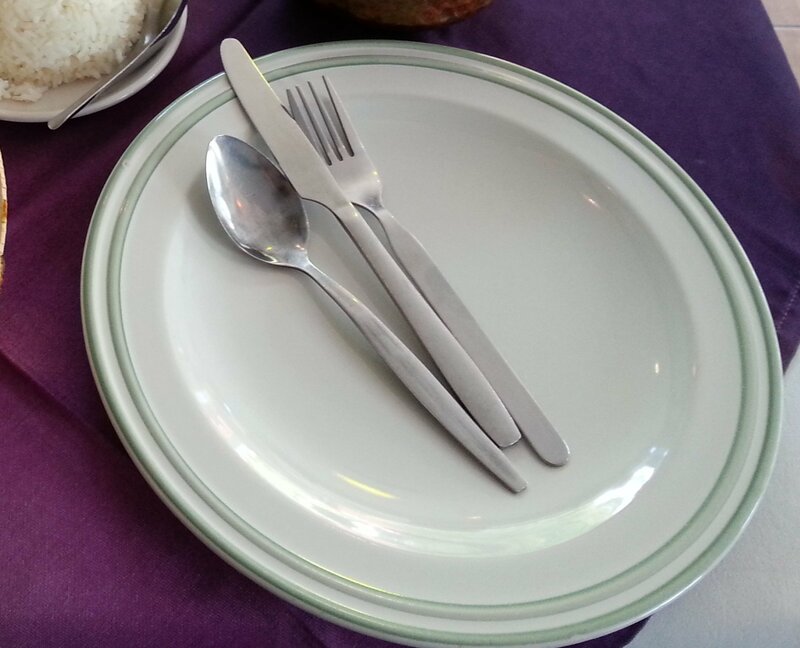 If you are in Krabi Town around 17:00 to 18:00 definitely head down to the river front to see the Eagle Sculpture, take in the view, see the other sculptures and Chao Fa Park, and then sit down at one of the stalls in the nearby Krabi Night Market for some inexpensive local food complete with a river view. 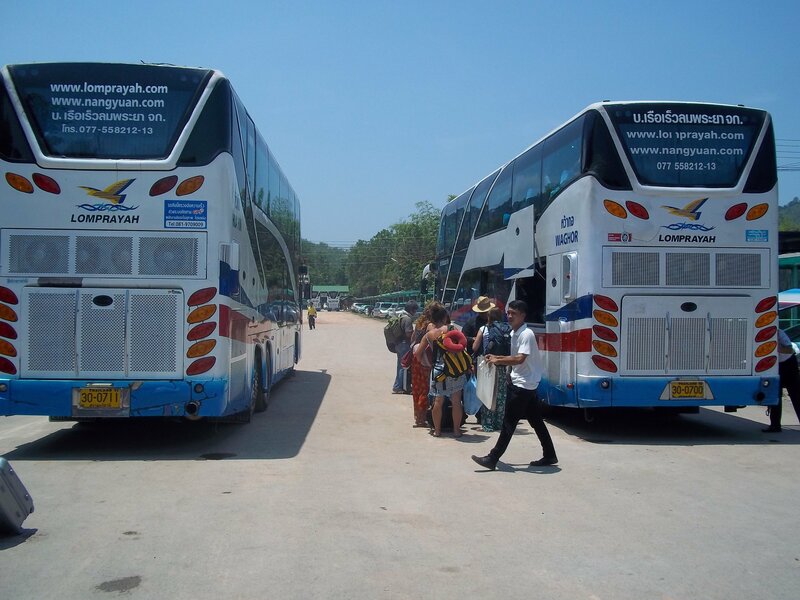 The Eagle Sculpture is located 5.4 km from Krabi Bus Station.